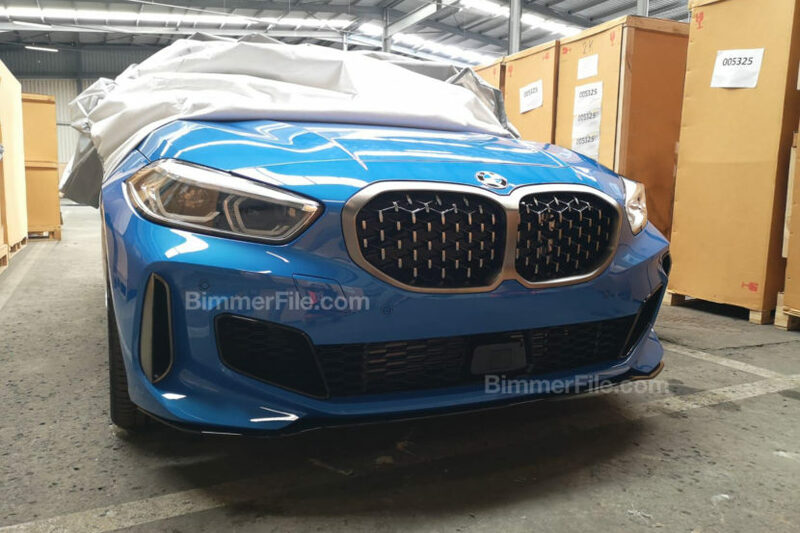 Photos showing the next-generation BMW 1 Series hatchback have recently surfaced online. The car makes a switch to a new front-wheel-drive architecture called FAAR and sports a revised exterior design with some elements taken from the X2 and 3 Series (G20). Despite the new platform, the 2020 BMW 1 Series (F40) has the same dimensions as its predecessor, while somehow managing to offer more interior space. The M135i XDrive trim version will be shipping with the same 2.0-liter turbocharged engine as the current X2 M35i. The latter manages to get 306 hp (228 kW) and 450 Nm (332 lbft) of torque out of it, but it remains to be seen just how well the same unit will perform in the 1 Series hatchback. The M135i XDrive will also now ship with an AWD system, an eight-speed automatic transmission and the M Sport front differential by default. According to rumors, the manufacturer is also readying a top trim called the M145i and allegedly rated at 400 hp (298 kW). The BMW 1 Series is the first BMW model that, while it comes equipped with a traditional internal combustion engine, still takes advantage of the ARB torque vectoring system initially designed for the all-electric BMW i3s.